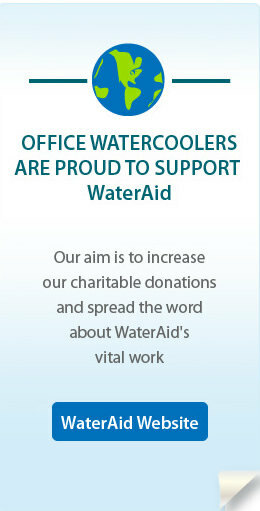 Office Watercoolers are proud to support WaterAid. As a company which provides excellent quality water, we believe it is important to help other communities do the same. After all, water is vital for life, without it we can't survive. WaterAid helps poor communities across the world by working with them to install clean water pumps and improve sanitation. Their strategy is to empower communities to manage the provision of clean water and sanitation for themselves, by involving them in community projects. We support WaterAid by running fundraising events within our company and by making donations on behalf of customers. Our staff also take part in a monthly lottery which supports the charity, with their contributions matched by the company. Our aim is to increase our charitable donations and spread the word about WaterAid's vital work.